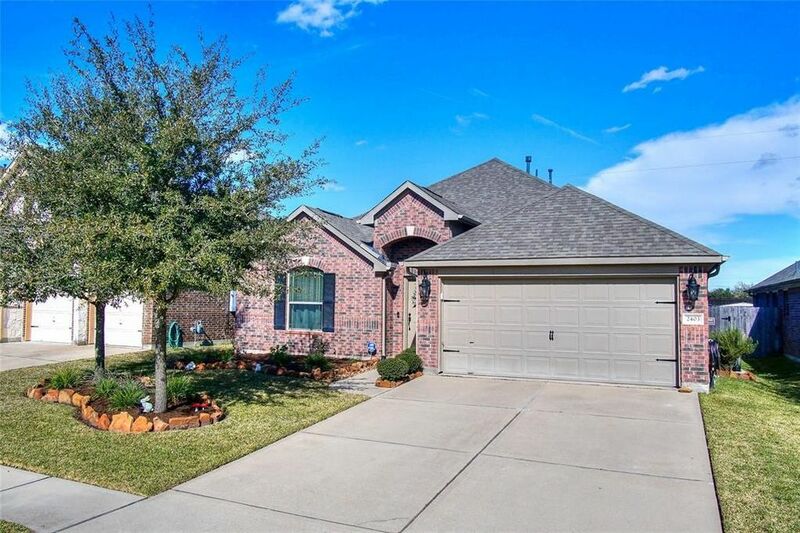 This stunning 4 bed 2 bath home is one you must see to believe! Upon entry you are greeted by a huge open concept formal living and dining room area that is a true entertainers dream! Kick back after a long day in the large family room featuring built-in surround sound, tile flooring, a vaulted ceiling and windows that shower the space in natural sunlight! Whipping up your favorite recipes is a real treat in the gorgeous island kitchen equipped with granite countertops, tile flooring and backsplash, stainless steel appliances and cabinets that provide ample storage space! In the evenings, withdraw to the spacious master suite complete with tile floors, a vaulted ceiling and a luxurious bathroom showcasing double sinks, a walk-in closet, tile floors, a garden soaking tub and a tiled walk-in shower! Best of all, the home features a large backyard with a built-in storage shed, plenty of green space for activities and a massive extended back patio with a custom-built arbor! Don't miss out!